People can get very scared when they read about the additives in vaccines, especially when long chemical names are used. The simple answer is that each additive is there to ensure that the vaccine is as safe and as effective as possible, each substance has been exhaustively assessed for safety, and each substance present is there in such minute amounts, they are well below any safety threshold. For more general information, please see here, here, and here. 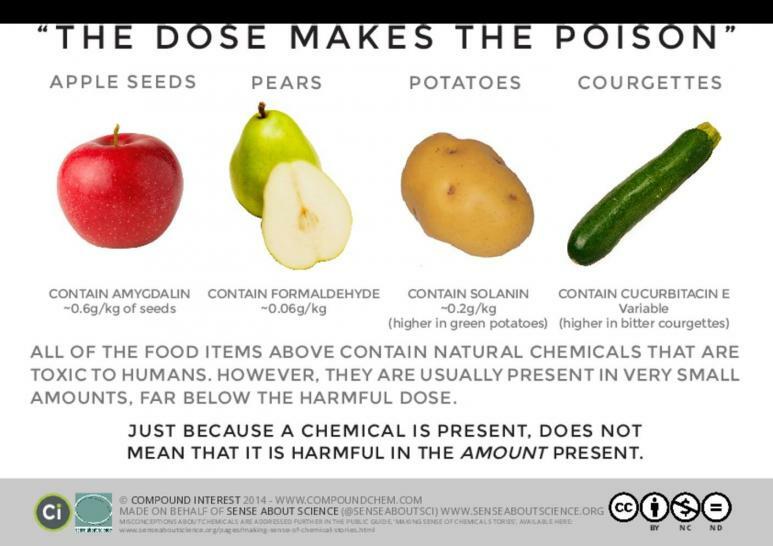 The expression ‘it’s the dose that makes the poison’ was first used by Paracelsus in the 1500s. What he meant was that any substance can be toxic if the dose is large enough, even things like water, sunshine, and oxygen. All the ingredients in vaccines are in such small doses that they are not toxic. The commonest ingredients that people are concerned about are thimerosal (often referred to as mercury, although it isn’t actually mercury), formaldehyde, and aluminium. Many of these compounds are found readily in nature, and are always present in the human body. Formaldehyde is an organic compound found naturally in many living things. It is used in the production of some vaccines to inactivate toxins from bacteria and viruses. The human body produces and uses formaldehyde as part of the process of metabolism. 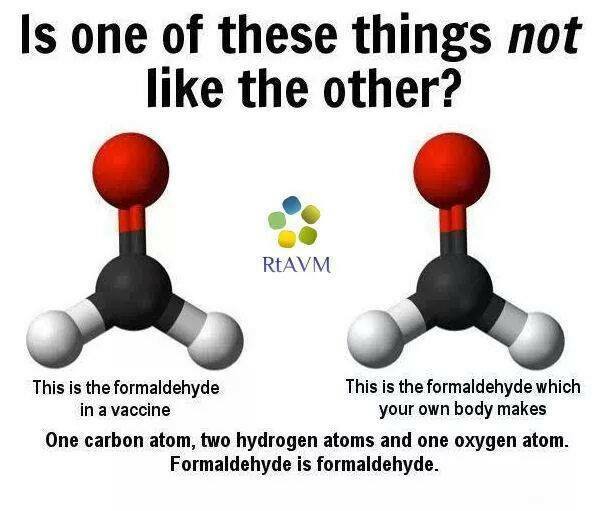 The amount of natural formaldehyde in a 2-month-old infant’s blood (around 1.1 milligrams in total) is ten times greater than the amount found in any vaccine, and the body makes 500 mg of formaldehyde a day for DNA synthesis. 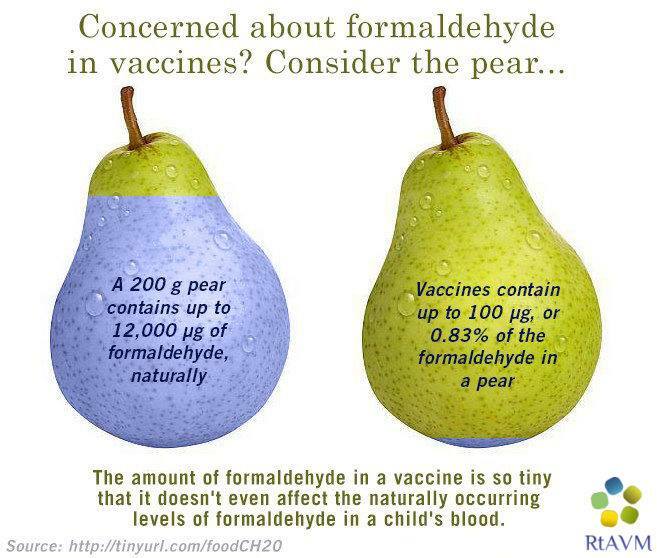 A vaccine contains only about 0.1 mg (100 micrograms) of formaldehyde, and a baby can break this amount down in just under 2 minutes. For more information on formaldehyde have a look here. Thimerosal is a compound that is only present in multi-use influenza vaccines (such as used during epidemics), and one type of hepatitis B vaccine. It works as a preservative to prevent contamination by harmful microbes. Thimerosal is NOT mercury, it is a compound of ethyl mercury with a thiosalicylate ligand, and it does not carry the same health risks that elemental, or methyl, mercury does. 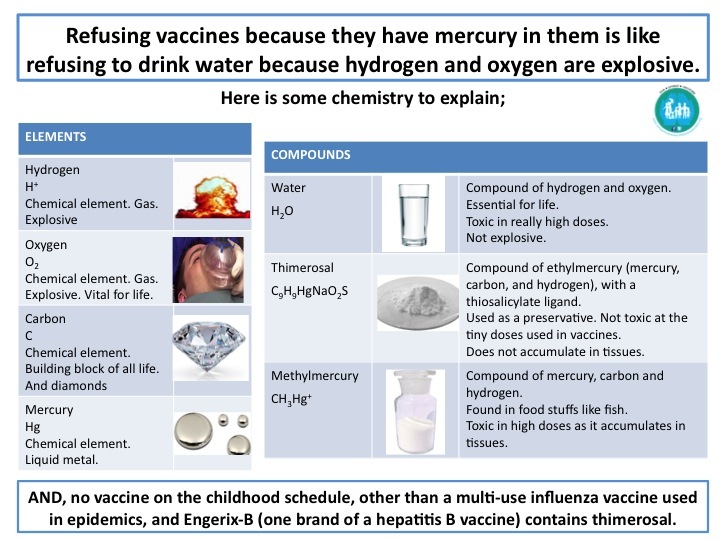 Thimerosal is a compound that contains mercury in the same way that water is a compound that contains hydrogen. Thimerosal has never been associated with any disease or disorder in humans. Many vaccines contain aluminium salts that act as adjuvants, strengthening and lengthening the immune response to the vaccine. Aluminium salts slow down the release of the active ingredient from the vaccine once it is injected, and stimulate the immune system to respond to the vaccine. If the antigens in a vaccine are like a mug shot showing your immune system what the bad guys look like, aluminium is a big red neon light flashing around the mug shot to bring your attention to it. The amount of aluminium present in vaccines is very small (less than 2 milligrams of the salts, and less than a milligram of actual aluminium). After vaccination there is a temporary increase in the amount of aluminium in the body, but this is not a lasting effect. The body gets rid of most of the aluminium in just a few days and there is no evidence that this causes any risk to babies and children. Aluminium is a very common metal in the environment, and it is also found naturally in breast milk, formula milk, some foods and drinking water. 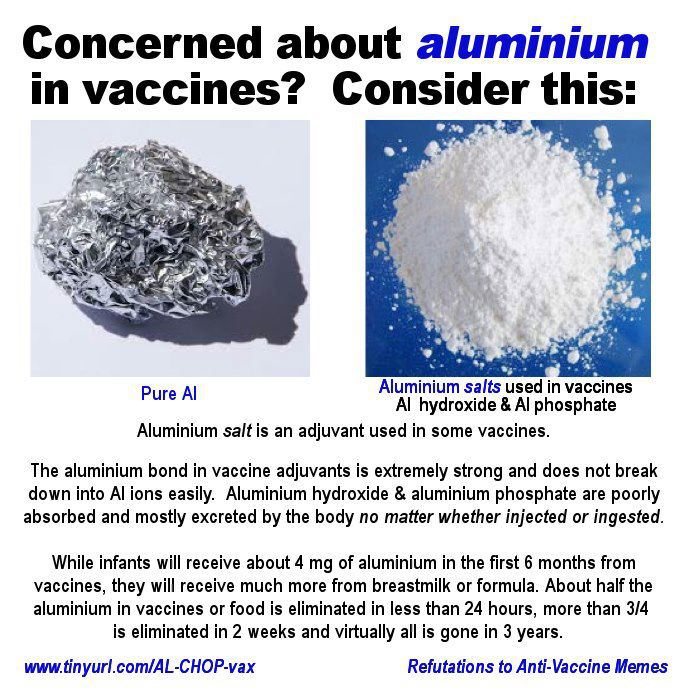 For a detailed explanation of aluminum in vaccines read this or this. Various other ingredients are sometimes mentioned such as monkey kidneys, anti-freeze or aborted human foetuses. This is just scare-mongering, as of course vaccines don’t have these things in them! The myth about aborted foetuses stems from the fact that during the manufacture of some vaccines, human cell lines are used to grow viruses. The cells may have originated in an aborted foetus, but they are only very very distantly related to the original cells, and are simply used to grow the virus in. In no way do vaccines ‘contain aborted foetuses’. 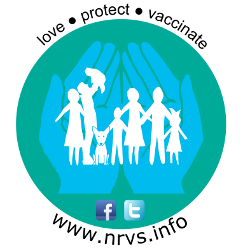 For more information take a look here. 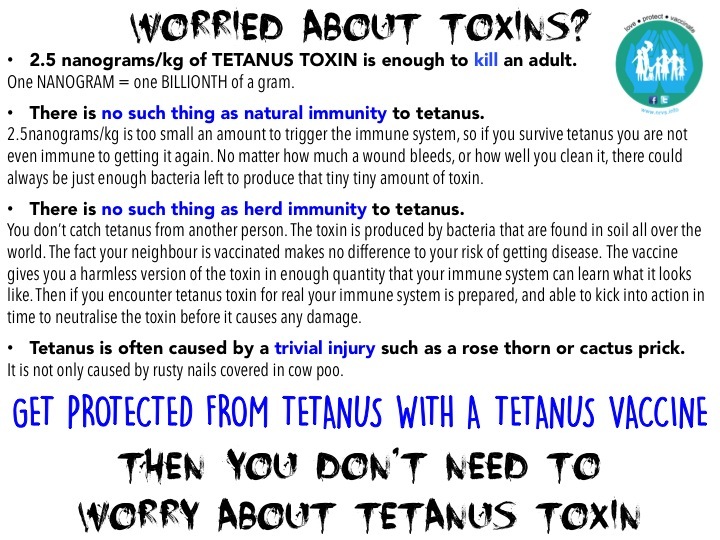 Of course, there ARE toxins that you really should worry about, like tetanus toxin.